Fire as a result of electrical faults has severe consequences and can cause serious injuries. If a building or property has been standing for more than 25 years old, it is very crucial to check its wiring system. Even before buying a property you should consider the cost of wiring installation and renovation of the house. You should be in a position to tell if a property has been rewired of late by inspecting the exposed wiring parts and the fuses in the circuit breaker or main meter. If the wiring is not the modernized coated type of PVCu, then you should do the rewiring. How then should a good home electrical rewiring be done and when should be done? Let us explore more. Frequent flickering lights or dimming lights indicate that there is an overload or there is a loose connection somewhere. Carry out often inspection on your electrical system so as to know when rewiring should be done. When then should the rewiring be done in a property? In case your property is has been in place for 25 years or more – upgrading will bring it to the modern standards because the wiring may be very hazardous when it comes to the high voltages in demand in our modern society. Poor wiring installation may result in electrical fires. If you are planning on working on an interior remodelling that involves material changes. This means you may need rewiring in one part or the whole of the place. Rewiring can be very disruptive and messy if not well planned for. Planning is in two stages; first before fixing and installing wires, secondly after joining everything and you want to know where to fix the sockets and switches. In our modern society, the current usage is very high. Therefore, consider the usage before rewiring. This enables the electrician to have ample space to do their work. In conclusion, it is crucial to calculate the cost before electrical rewiring. 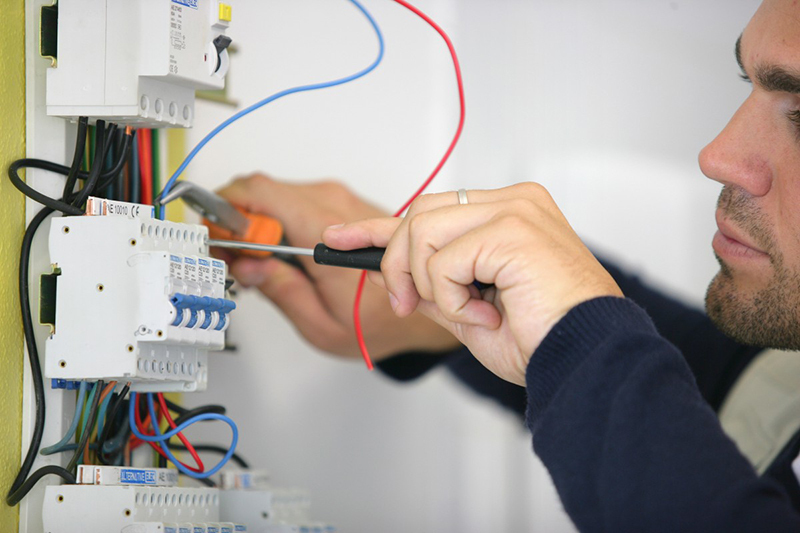 Always involve a qualified electrician for fast and reliable electrical services. Don’t gauge any electricity problem by its face value as it’s difficult to grasp the full scope of the job till you actually start working on it. Sometimes a simple repair job turns out to be much more complicated than you had envisioned. While you may think that there’s nothing much to do to repair faults in the circuit, it eventually turns out to be a larger and more complicated task which only professionals can handle. 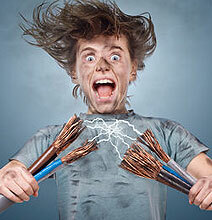 Working with electricity is not a joke; it’s very dangerous as the wrong step can lead to fatal injuries. There is a lot of risks related to electrical fault repairs which only a trained professional will know how to handle. They not only make the necessary repairs but also know how to diagnose and repair faults, which an average homeowner will not know. Attempting electrical fault repairs with your minimal knowledge only leads you to serious injury and possible death. It is simply not worth the risk especially if there are professionals who will be able to handle the job instead. Don’t trust the information you find on the internet as the information is usually written by a writer and not an electrician. So they write only what they think they know, which is nothing compared to the training a professional electrician receives. Electricians go through rigorous training to perform perfect electoral repairs by putting in their best efforts to do their best. Moreover, even if you do attempt and somehow fix the problem, it may be a temporary fix. You don’t know if you have provided a long time solution to the problem. There is also the risk of your poor electrical repair job leading to shocks and fires which put your family members at risk. Your electrical appliances and devices may also end up damaged because of voltage fluctuations and wrong repairs. Many people attempt to do their own electrical fault repairs to save money and not pay a professional’s fees. However, hiring professionals is actually a wise thing to do as it’s cost-effective in the long run. Supposing you attempt to do some repairs but it fails, all the time and money spent on parts and repairs is wasted. Moreover, if you do something wrong and your appliance ends up damaged, you have to spend money buying a new appliance! Sometimes your ‘repair’ only ends up making the problem much worse and expensive for a professional to handle. Last, but not least, repairs performed by professionals usually come with a guarantee for a certain period of time. 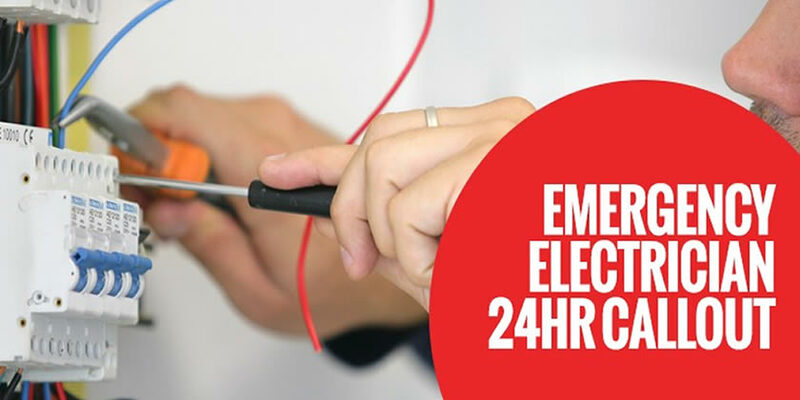 If the problem recurs, your electrician Prahran will once again do the necessary repairs at no cost. This is why though you may have to pay for a professional electricians’ service, it is definitely worth it for electrical fault repairs as you save money in the long run. Upgrading your existing home requires experience, skill and a certain level of creativity. Regardless of the type of the electrical problem you might be having, you’ll always want it to be done by the most qualified technicians. Whether you are dealing with new power points, water heaters, lights or any other more complicated electrical project, working with the best professionals should always be the priority. So what are some of the electrical services which you may consider? Many old mansions mostly have old wiring system and now-obsolete switchboards that function poorly, offering insufficient power supply to current devices. Again, these old switchboards are not equipped with suitable electrical safety switches. So this implies that if you want to live a safe, reliable and trouble-free life, you must get a better switchboard for your home. Below are a few reasons why a switchboard upgrade Hobart is ideal for your home. Outdated switchboards are highly susceptible to short-circuit incidences. This is perhaps because their fuses are very dangerous since they tend to catch and spread fire quite quickly. Again, the likelihood of the occurrence of electrical shocks is higher with these old switchboards. Switchboard upgrades are necessary when your lights flicker most often. If you are experiencing regular power tripping incidences, then it’s probably due to an old switchboard. Older switchboard devices are typically designed to provide power to a small number of home appliances but not for the many household devices you now have. 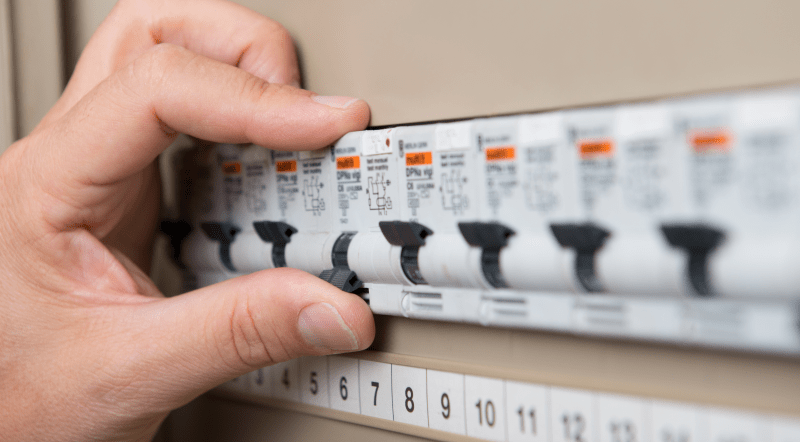 It is imperative to note that the current switchboards are fitted with automatic trip circuit breakers and safety switches which prevent the flow of electrical current any time you have electrical faults. Evidently, they can potentially prevent your electrical cables from catching fire and can even save a life from electrocution. Even though Do-It-Yourself installation of security systems is much cheaper, professional installation is dependable and easy. Home safety is always a constant concern for homeowners. An excellent burglar alarm system is perhaps the best way to keep the incidences of break-ins at bay. What’s more, you are likely to save more money on your home insurance by having an alarm system installed in your home. With the help of a trusted and a skilled electrician, you can get the expertise advice regarding the best type of home security alarm installation. Whether you intend to install door entry alarm systems, security systems, CCTV systems or any other kind, it is usually a good idea to seek the help of an electrician Bentleigh. 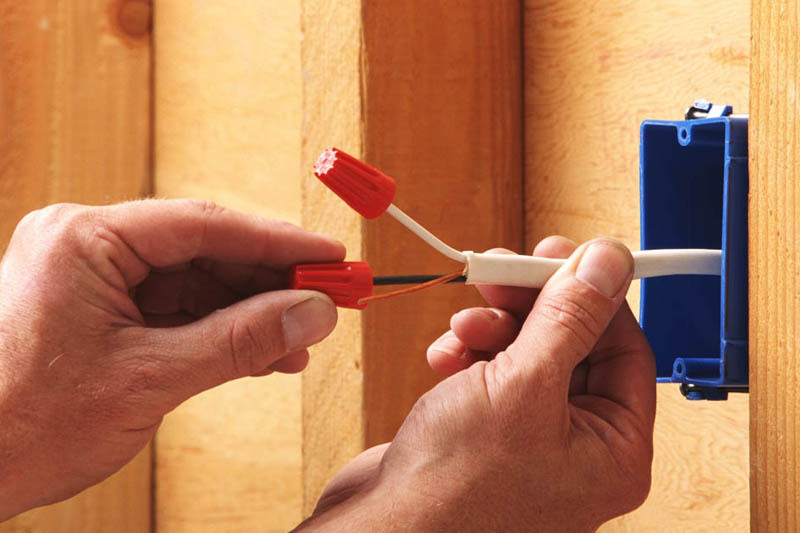 Electrical testing is fast becoming a necessary procedure for homes. It is often an essential but a difficult task and therefore, it must be undertaken by a professional. It reveals all the potential hidden electrical faults that are just to occur. 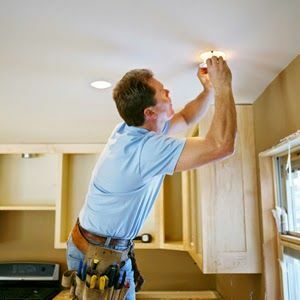 If you are having problems relating to lighting or wiring then you need to seek the help of an experienced electrician to conduct the inspection, identify and solve the problem. The installation of various lighting designs. The quality and the design of lighting devices in your home are an essential factor that cannot be ignored. If you didn’t know, it provides a unique atmosphere and ambience. Without the constant help of an experienced electrical technician, you’ll always find it quite hard to keep on top of the latest lighting technology as well as the trending designs in the industry. Most of the latest LED lighting devices to offer you the opportunity to save a substantial amount of money, as compared to some of the old energy-hungry lighting systems. Emergency power issues will often happen when you are not prepared to face them. As such, as a homeowner, you should have at least two contacts of reliable and reputable electrical contractors in your locality. Emergency issues such as power outages, electrical system failures and even cases of injuries due to accidents related to electricity are often common. If you are a resident of Melbourne, you would agree with me that there are many electrical technicians available. This implies that you will always have somewhere to report your problems to. These are some of the possible electrical issues that would make you consider the attention of your local technician. What happens when your antique and even ultra-modern lighting units won’t work? You need to call in experienced light fitting repairs Melbourne technicians with a thorough understanding of how different lighting systems work. Primarily, you need a lighting repair expert that can quickly identify the light distribution techniques in different lighting units as well as how much light a unit loses through reflection and absorption. It is vital that your repair technician understands these two concepts as they ultimately affect the quality of the different types of repairs. You, therefore, need an electrical expert for lighting problems affecting these two lighting fields. 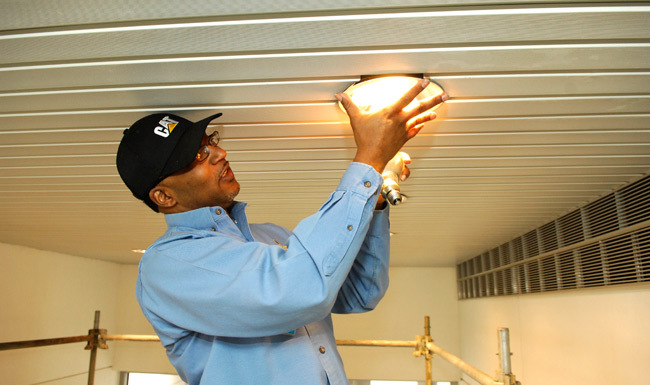 Here are four more types of light fitting repairs that need an electrical repairs expert. When were your bulb’s cords condition last inspected? With age, the power cords to the lamps and other light units around the house become stiff and brittle. In most cases, the cable eventually cracks creating the danger of flaking off the wires, a situation that may lead to shocks or even a fire hazard. While most people will run for an insulation tape, it is advisable that you call in light fitting repair experts. They are best suited to offer guidance on the right type of power cord for the light unit depending on the bulb watts as well as experienced enough to identify quality power cable brands. Most modern lamps have standardised watts usage limits, come fitted with standard power cords, and follow a conventional light distribution technique. On the other hand, the antique lamps and other lighting units are uniquely designed and require an experienced electrician to determine their power watts usage and match it with the necessary power cords if they are to function effectively. 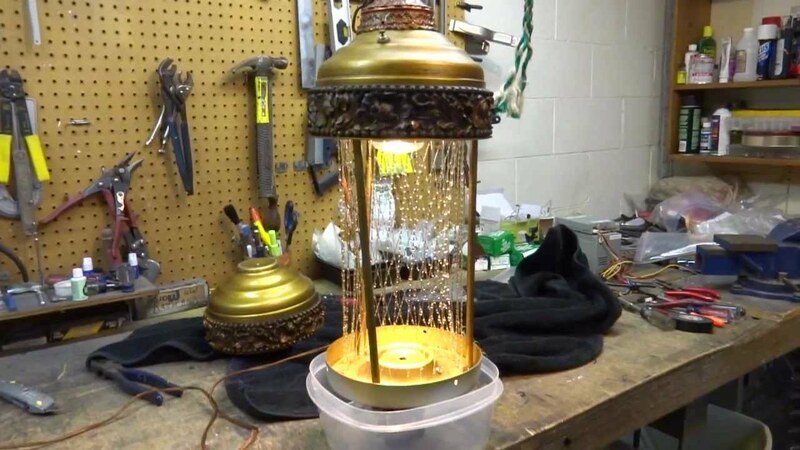 You will also need a light fitting repairs Melbourne technician when moving houses for removal and refitting of these antique lamps when moving houses. Table lamp sockets aren’t impervious to faults and breakages. But as any experienced light fitting repairs expert would advise, in most cases the problem lies with the switch inside. Nonetheless, the only solution lies with the socket replacement. Attempts to dismantle the switch can cause further damages to the system leading to even more costly repairs or irreparable damages to the lamp. It is, therefore, advisable that you have it attended to by professional light fitters in Melbourne. The efficiency of any light bulb is to a large extent determined by its positioning around the home. While some are supposed to reflect directly onto the working space, some are meant to bounce off their light from the ceilings or wall hangings. Depending on the quality of materials used, a proficient light fitting repairs Melbourne expert can comfortably advise of the correct application of different lamps as well as assist with their repositioning. Hiring a qualified light fitting repairs expert to assist with various light problems can be quite not only saves you the time you would spend learning how to do it as well as the costs associated with the purchase of tools. It also shields you from accidental and more expensive, sometimes irreparable, damages to your lighting units and bulbs. So many articles will tell you how to keep your home air conditioner running in tip-top shape, in the most cost-efficient way possible. These how-to guides can go from containing simple and basic information to highly technical instructional articles. But sometimes, all you really want to know is how not to mess up your brand new, recently installed home air conditioner. An air conditioning system is meant to last for over a decade, and keeping your air conditioner running doesn’t have to be rocket science. 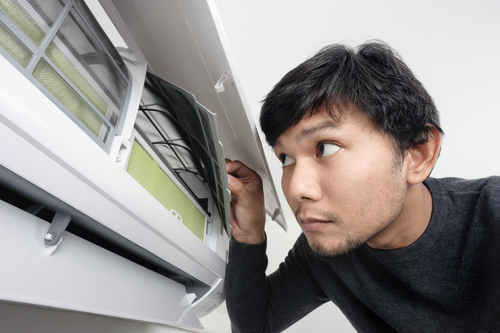 In fact, sometimes it’s easier to learn about what not to do instead of getting confused with all the complicated must-dos about air conditioner maintenance. If you’ve just recently bought a new home air conditioner and would like to know how to keep it running smoothly without too much effort for the longest time possible, read on to find three things you absolutely shouldn’t do so that you don’t end up killing your air conditioner. 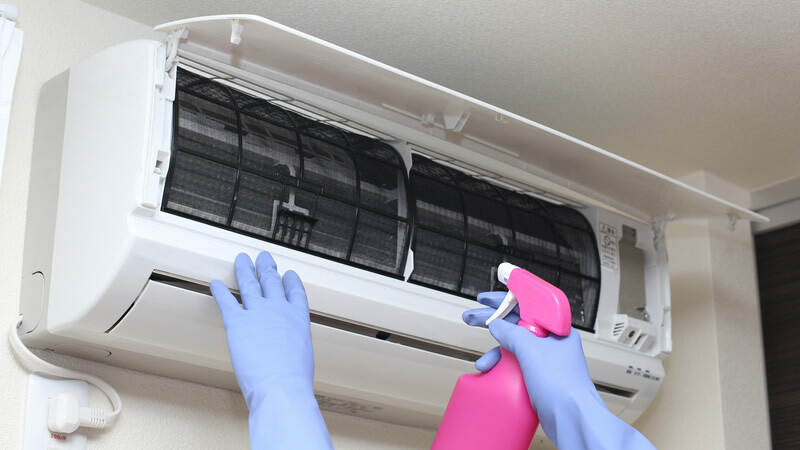 It’s one of the easiest things you can do to keep your air conditioner in good condition, but for one reason or another, it’s probably one that so many of us forget to do, if not completely ignore. Not cleaning your air filter means the flow of air through your air conditioner will be restricted, reducing your unit’s cooling capacity and ultimately forcing it to work harder to cool your home. Consequently, this shortens the lifespan of your air conditioner. Put a regular schedule in your diary to check and inspect your air conditioner’s air filter. And if you’re too lazy or busy to do it yourself, hire an air conditioner service technician to do it for you. When you’ve spent too many hours working non-stop at the office, you become exhausted and less productive. 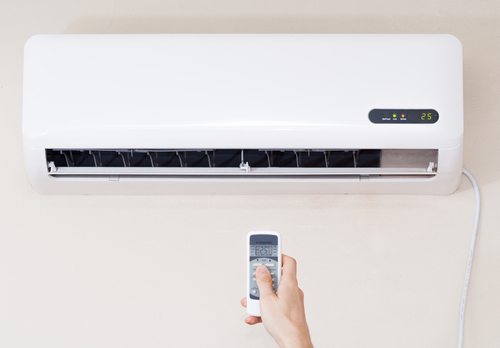 Unsurprisingly, your home air conditioner isn’t any different. Using it for extended periods of time can ultimately affect how it performs in the future. That’s not to say you shouldn’t keep your air conditioner on whenever it’s needed, especially during really long and hot summer days. But there are different ways to ease up on your air conditioner even while it’s running. For instance, keeping your curtains or blinds closed on a hot sunny day while the air conditioner is running can reduce the heat that it needs to fight off. Keeping all your windows and closed also ensures the cool air your air conditioner produces remains in the space it’s supposed to cool, so it doesn’t have to work harder to keep the space at your desired temperature. 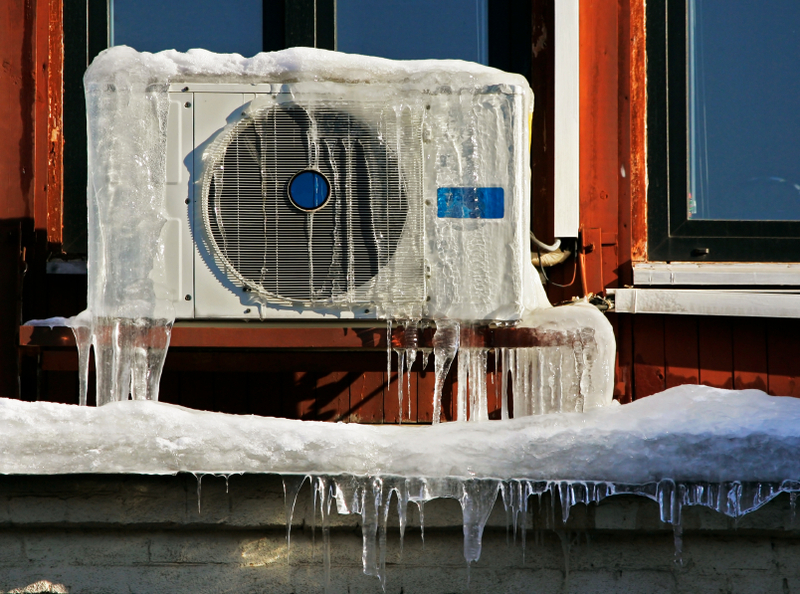 There are numerous reasons why your air conditioner will suddenly have ice buildup. Whichever cause applies to your situation, the solution is the same across the board – turn the unit off immediately, allowing the ice to thaw, and contact your local air conditioner technician for assistance on how to repair the AC unit. A lot of homeowners are often reluctant to consider installing central heating in their homes for various reasons, the most common of which are that central heating is expensive, inconvenient to install and maintain, and complicated to control. But these reasons are often misconceptions, and depending on the style and space of your home, warm water central heating can be a great option. If you are still not convinced, here are just a few of the many benefits of central heating and why you should consider it. Warm water central heating can be effective, as it can keep your entire house warm! If you want your entire home to be heated, a system that provides warm water central heating would be ideal, as it does exactly that: a warm water central heating system can warm up your entire house. Warm water central heating can be efficient. Did you know that warm water transfers energy better than warm air? Water can transfer warmth at four times the rate of air, make warm water central heating systems much more efficient than their central air heating systems. Warm water central heating can be economical. 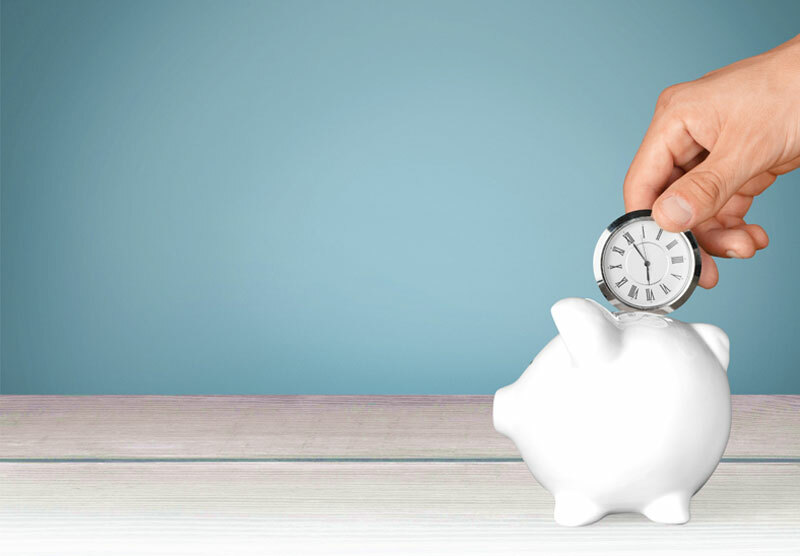 Though installing and setting up a warm water central heating system can have relatively high costs, its longevity and long-term benefits make up for the initial costs. Warm water central heating does not produce noise, providing near-silent operations. Warm water central heating warms up your house quickly. It doesn’t matter how cold it is outside – a warm water central heating system can warm a house within minutes of being turned on. Warm water central heating is safe to run and operate. Because there are no exposed elements or flammable parts, a warm water central heating system is ideal if you have children, elderly family members, and pets living in your home. Warm water central heating is easy to control. If you install a heating system in your home, it will most likely be programmable, as nearly all systems can be controlled on a thermostat. Warm water central heating can be customized. If you decide to have a warm water central heating system, the heating company will allow you to choose the heating requirements you want and that best suit the specifications of your home. They can also recommend a fully customized setup that would be the most ideal heating solution for your home. There are numerous warm water central heating options and functionalities to choose from. There is a wide range of heating systems available that differ in price, functionality and capacity. 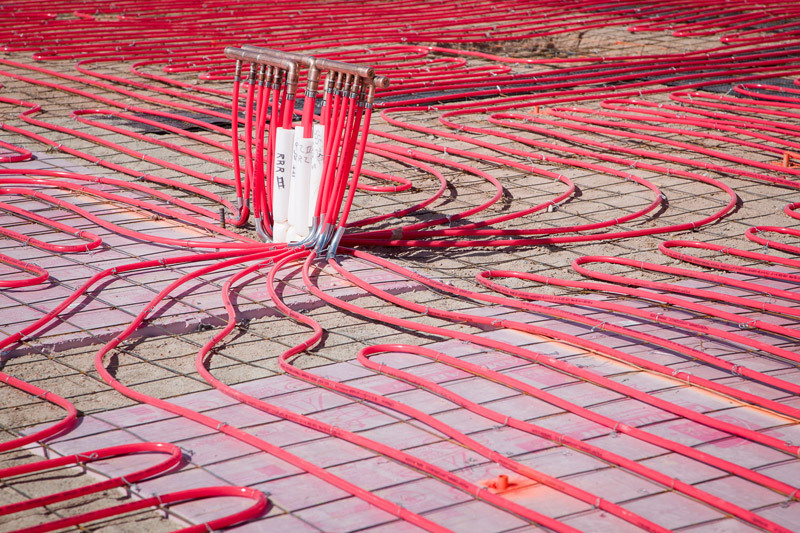 So there’s bound to be a heating system fit for your home! So that you further understand how a warm water central heating system works, it’s best to reach out to your neighbourhood provider. Provide them with a brief of your requirements and the size and other specifications of your home as well as the budget you have in mind and they can provide a tailor-fit recommendation for you. No one undergoes the trouble of investing in a split air conditioner with the view of replacing it in after a few years. 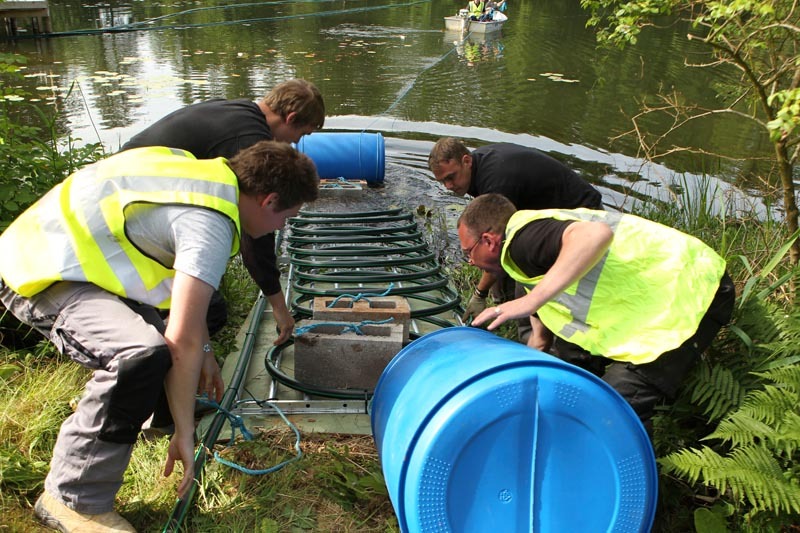 Especially considering the amount of initial investment required for these installation projects. The expected lifespan of a split system air conditioning should, therefore, be given thought when considering the type of system to invest in. But is there a standard number of years a system is expected to serve to your household? While most companies attach a specific number of years the split system air conditioner is expected to last, most either exceed or fall before their due time. Though most HVAC manufacturers place the lifespan of their machines at between 15 and 20 years, service experts recommend you to consider replacing your system after every ten years. The biggest influence of the systems life expectancy is its expected wear and tear. In most cases, split system air conditioning manufacturers determine the system’s expected depreciation rate and in effect its expected lifespan. But does this lifespan always fit the company’s predictions? No, in almost every case, the longevity of an air conditioning system is primarily determined by factors outside the manufacturer’s control. When setting the industry lifespan, most manufacturers don’t expect the system owner to run it round the clock for several days. But with the unpredictable weather in Australia, most homeowners are forced to run this system the entire day and night for several consecutive days. This becomes a significant point of deviation from the company’s expected gradual depreciation. Your system’s lifespan will, therefore, be determined by the level of usage you subject it to. In this regard, if the excessive usage continues, don’t expect the system to last you more than a decade. On the other hand, with minimal and only when needed usage, expect the system to outlast the manufacturer’s estimated lifespan. The standard of attention accorded to the system as well as the maintenance levels it is corresponded primarily affects its lifespan. But how do you take care of your split system air conditioner? Subject it to regular, possibly monthly, professional maintenance service. Has it cleaned and partly replaced by an expert split system air conditioning service? This will not only improve the quality of the air you breathe but also increase its longevity. A well-maintained system ensures its non-replaceable parts such as the condenser and blowers perform optimally and thus last longer than anticipated. Cleaner filters and functional ducts play a significant role in promoting the systems operational efficiency thereby ensuring they last longer. Several other factors such as the quality of installation and the system to house ratio also impact the life of the split system air conditioner. For instance, if the system wasn’t properly installed, it may develop operational inefficiencies that affect its usefulness. Additionally, before a split system air conditioning installation, seek a professional opinion. Especially about the size of the AC required to cater to your home’s energy requirements adequately. If your system always overheats and stops working, this may be due to the fact that it doesn’t meet your home’s energy needs. Such a system is due to break down before its expected lifespan. Do you have a commercial property in Sydney CBD? How often do you have its air conditioning system maintained? The trickiest part when it comes to servicing air conditioning systems to properties in the ever-busy Sydney CBD is in finding the most appropriate time to do it. In fear of causing their tenant costly disruptions, some property owners lay low till the systems either becomes inefficient or break down. Such inaction not only causes their tenant’s much more inconveniences but also makes maintenance expensive while decreasing the system’s longevity at the same time. Nonetheless, all this can be avoided by being more conscious about an appropriate timing that doesn’t hurt their convenience. So what is the most appropriate time to carry out air conditioning in Sydney? During this period, most of the offices and other workplaces remain closed. This, therefore, is your best shot at carrying out thorough air conditioning system maintenance. The two-day break gives your air conditioner repair experts ample time to conduct the various operational efficiency checks regardless of the size of the building. You only need to confirm the availability of your air conditioner experts. You will nevertheless note that their standard rate for weekend operations vary from significantly from the regular rates. You can also make arrangements with your air conditioning company to have them carry out the repairs at night. The fact that most businesses remain closed at this time gives your repair expert ample time to conduct an extensive repair or maintenance procedure on your system. The nighttime air conditioning service is best for urgent repairs that can’t be carried out during the day and also can’t wait for the weekend. Additionally, the repair expert must be confident about detecting and solving the air conditioning problem within before daybreak to avoid inconveniencing the tenants. 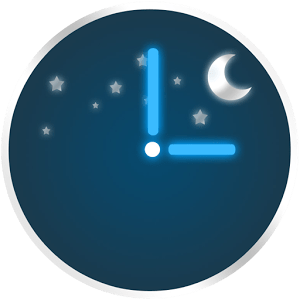 Night time is also the most convenient for businesses that operate all-week-through with minimal night operations like motels. Thinking about conducting thorough air conditioner maintenance and part replacements or the air con system overhaul? This is the most appropriate time. Just like you would schedule significant constructional repairs to be conducted over the holidays, it is also wise to have major air conditioner replacement projects carried out during this time. The long holidays give you time to not only install the project but also run all the efficiency tests with minimal disruptions. It also gives your property caretakers adequate time to learn how to operate and maintain the system. Expensive repairs and AC part replacements are a result of prolonged periods of improper conditioner. But you can avoid such problems by hiring a full or part-time air conditioner maintenance professional for your property. These regularly clean and replace system parts like filters. The fact they are always available makes it possible to address any air condition concerns raised by the property occupants before they get out of hand. Air conditioning Sydney CBD doesn’t have to be complicated. With simple organisation, proper communication, and planning with your repairs expert, you can settle on the most appropriate air conditioner repair time. 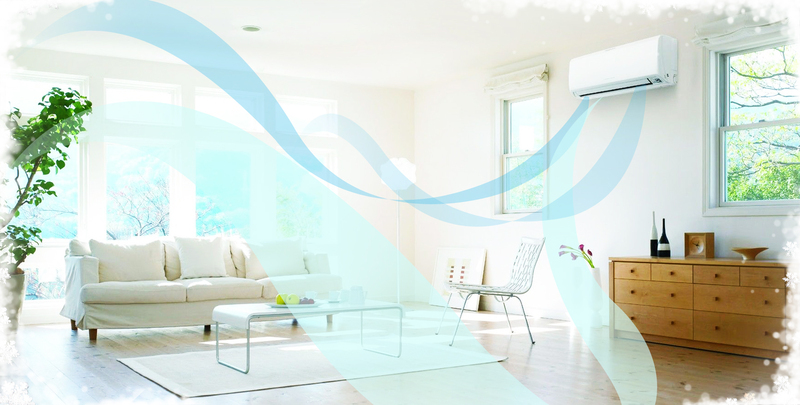 Our air conditioning unit is equipment that we cannot live without. Whether at home or at work, our bodies long for the comfort it gives. That is why we make sure that our ACU functions properly and efficiently. However, there will come a time when our good old ACU will begin to feel “tired”. An air conditioning unit that is not regularly cleaned will surely gather dust and dirt and will clog your unit, causing poor cooling function. Over time, your unit will be hard up until it will just stop working. To avoid complications in the future, it is best to make it a habit to clean your air conditioning unit regularly. Give particular attention to its filters and coils. Cleanliness of these parts greatly affects the quality of air your ACU emits. What are you supposed to do now that your air conditioning unit won’t turn on? Instinctively you check if the unit is plugged into an electrical outlet. If it is plugged, then look for ac troubleshooting. Check the condenser outside – is it working? Inspect the thermostat: it might not be set properly to cool. Setting the thermostat to five to ten degrees lower might be the answer. If these things do not solve the problem, I suggest that you go over the fuse or circuit breaker, either they are blown or tripped. These do-it-yourself tricks are helpful for the neophyte in you, simple and easy to do. After looking at the above suggestions and still your beloved ACU isn’t working, it’s time to go to the manual. The Owner’s Manual can give us the solution to some of our ACU’s problems, but it is not a “know-it-all” thing. Maybe it is human nature that we try to find the possible solutions to the problems of the world that we tend to speed things up, avoid the hassle of calling the more experienced aircon technician. In other words, we try to fix what’s wrong with the ACU on our own. And if we are not knowledgeable enough, oftentimes the problem becomes worse, so we finally give in and contact the nearest available help – the air conditioning specialists. An experienced technician gives you with details on why your unit isn’t turning on and then provides a solution –whether to repair or replace, just to mention a few. After checking your unit, he may notice some problems such as a frozen coil, as well as issues of the compressor and motor. Since these parts are sealed components, calling Mr Aircon Specialist is a great decision. Trust him to provide the solution and bring back your ACU in its good working condition, never mind the fees his expertise entails. After all, we will get what we pay for his services. Nice one, huh? In the end, whether we fix it ourselves or have it serviced by a competent serviceman, what is important is that we brought back our good old air conditioning unit to its usual self. Yay! An HVAC system is similar to a car. It requires regular maintenance. A properly working HVAC system will keep your home cool and cosy for many years. Here are the main reasons why you should invest in your HVAC maintenance. When an HVAC system runs efficiently, your electricity, heating and cooling costs will be reduced. It will prevent major costly repairs or replacements. A well maintained HVAC will not only warm or cool your home, but it will also give you healthy air. When you have clean filters and coils, it will give clean air to breathe. If your HVAC is not maintained, dirt and molds can accumulate and make your air unhealthy. It can cause respiratory problems. If you regularly do maintenance work of your HVAC system, it will function well and last longer. Installing a new HVAC can be expensive. Maintenance is affordable, so you should regularly check the condition of your HVAC. An HVAC system that is maintained well will run more efficiently. According to research, unmaintained HVAC units need to work 20% harder to get the same amount of cooling or heating as a well maintained HVAC system. So, less energy is needed to run an HVAC that goes through regular maintenance. There will be less wear and tear. Regular maintenance will keep your HVAC in good condition. Even if repair is needed, it will be minor and less costly. So, maintain your HVAC regularly and make your home more energy efficient and healthy.